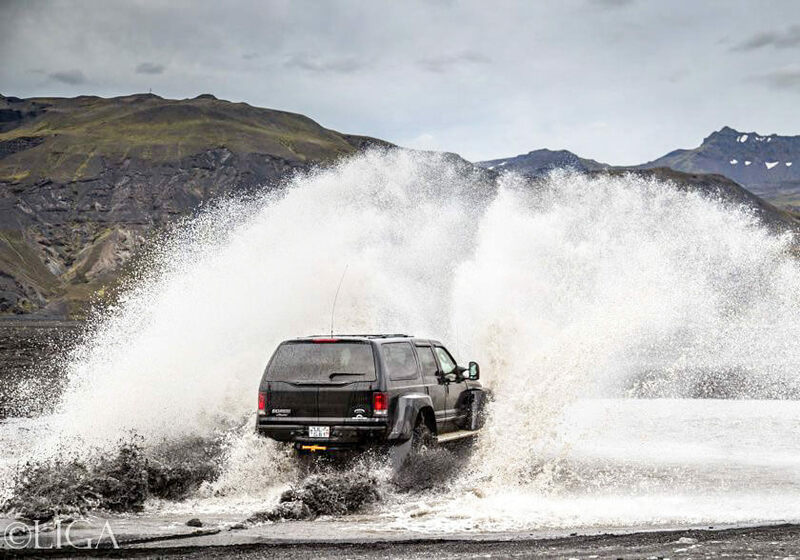 After picking you up at your hotel we take on a scenic drive along the south coast of Iceland. 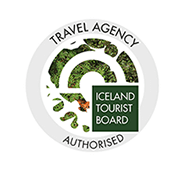 The tour takes you to Gígjökull glacier, which is an outlet glacier from the notorious Eyjafjallajökull glacier that erupted in 2010. 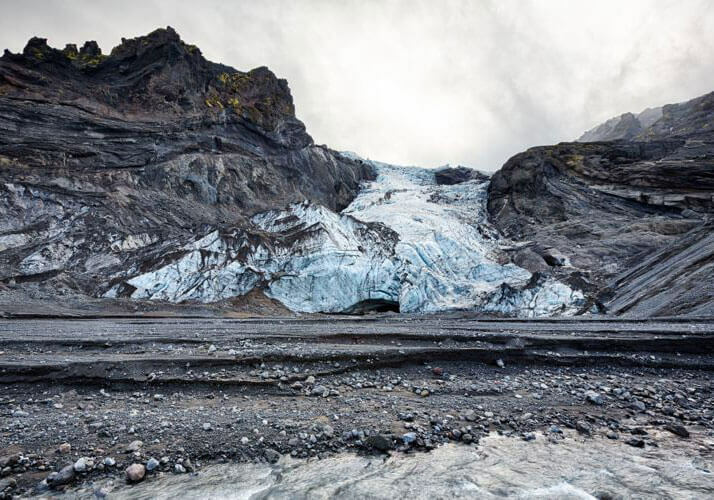 The eruption melted a large amount of ice causing millions of liters of melted ice to flood the area as the water made its way to the Atlantic. You are sure to be in for some super jeep action, as you splash through rivers, so make sure the seatbelt are tight for this part of the drive! From there, we take you to Seljalandsfoss, a stunning waterfall that drops 60 meters and originates from the Eyjafjallajökull glacier. 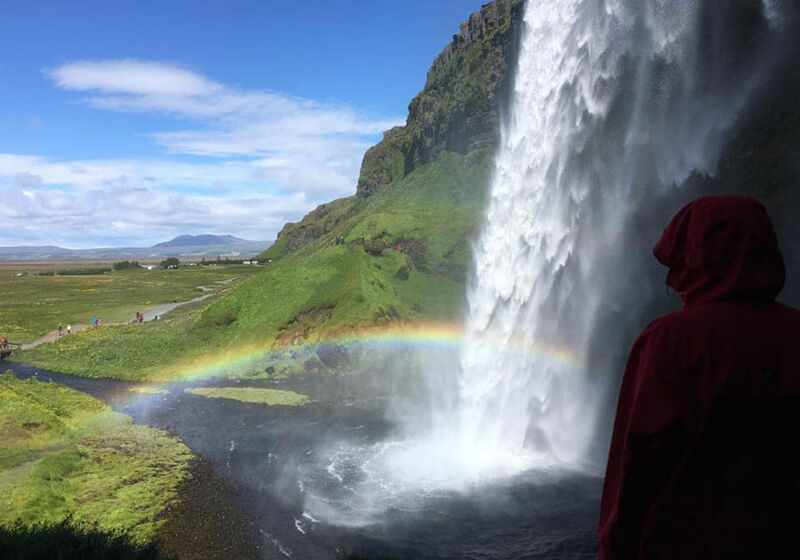 If you are feeling adventurous you can walk behind the waterfall and enjoy the scenery from there. 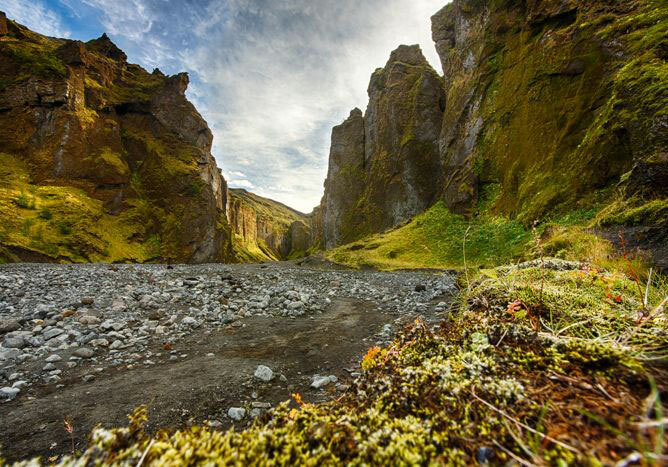 Now it’s time to head up to a hidden canyon where we will find the spectacularly beautiful waterfall Gljúfrabúi. 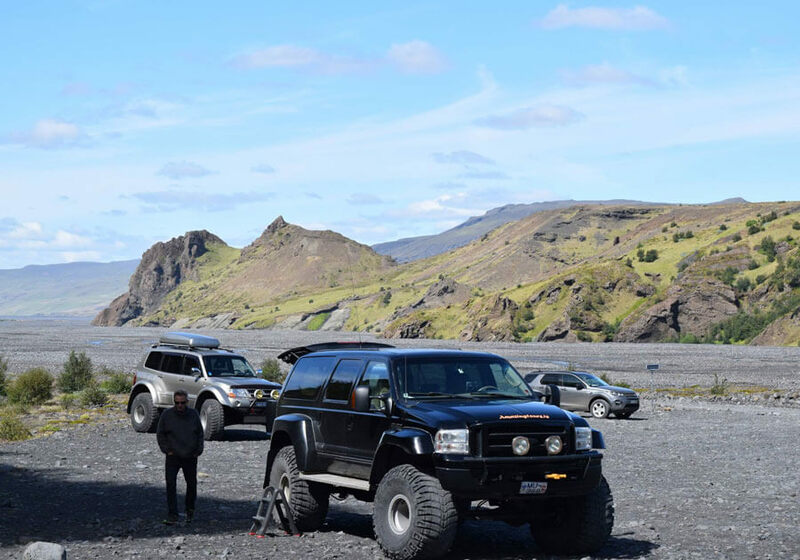 After seeing this hidden gem we take off on a drive through some places that were covered by ashfall in the 2010 eruption and are only accessible by modified vehicles. It goes without saying, that we will be crossing more rivers along the way to get the best possible view of the eruption site. Finally, we take you along the black Atlantic Ocean beaches as we head to our last stop of the day, Skógarfoss waterfall. 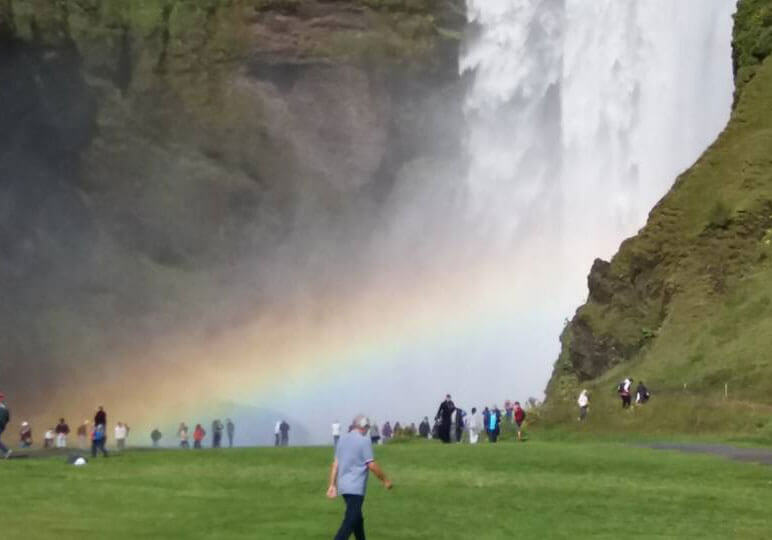 Skógarfoss is one of the country’s biggest waterfalls, with a width of 25 meters , and the spray from the waterfall produces a single, or even double, rainbow on a sunny day. After this stop, we make our way back to your hotel. Bring/wear: Warm clothing, waterproof outer layer, sturdy shoes, warm hat and gloves. Don’t forget your camera and some snacks. The driver will be stop at service stations if you wish to purchase something there.